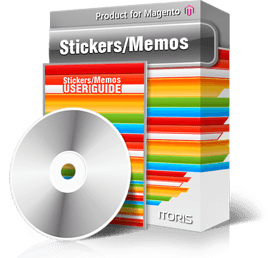 Create expandable side panels and blocks using the Stickers & Memos extension. This module allows you creating sliding panels and insert them anywhere - top, left, right, bottom of the page. The panels will display titles, and when clicked they will slide out showing their content. Stickers/Memos provides smart usage of space - no need for re-loading, no need for additional temporary pages. You can bind sliding panels to the whole page, or to a selected area on the page. Panels can be collapsed or expanded by default. There is ability to display a panel on multiple pages at once. Plenty of pre-made color schemes will be built in your design perfectly. See the Stickers DEMO. There are 3 sliders configured for your overview.